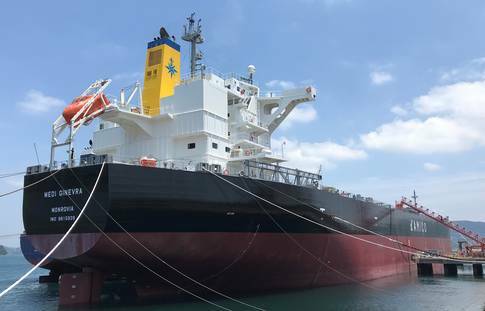 Crew management specialist Danica is pleased to announce it has been entrusted with the crew management of newbuilding ultramax Port Imabari for Lisbon headquartered Portline Bulk International. Delivered in January, the 63,500 DWT Port Imabari, equipped with four 30.5 tonnes (SWL) grab cranes, was built at Japan’s Imabari Shipyard. The Marshall Islands-flagged bulk carrier brings Danica’s fleet of crew managed vessels to 23. 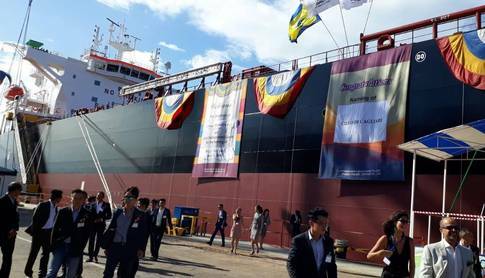 We are pleased to announce that the Danica Crewing Services supplied four junior officers for the new build ice-breaking LNG carrier Vladimir Vize, which was named at a ceremony on the 11th of September at her builders, Daewoo Shipbuilding & Marine Engineering Co., Ltd, in Korea. The vessel is a part of the Yamal LNG project and after being delivered to her owners, MOL LNG Transport Europe Ltd., at the end of September, she will enter into service on the Northern sea route of Russia transporting LNG from Sabetta in Northern Russia to Asia. 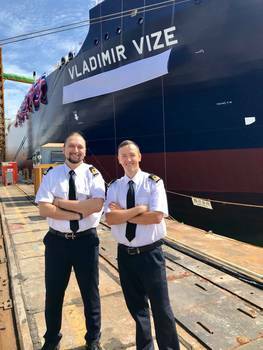 The LNG carrier Vladimir Rusanov – also with crew from Danica onboard – is already in the service in the same trade. The vessels are the world’s first ice-breaking LNG carriers and they can all year around navigate on the Northern sea route without assistance from ice breakers. The vessels are 299 meters long and with a beam of 50 meters and with a deadweight of 96,844 ton. The vessel is named after Vladimir Vize, a Russian scientist of German descent who devoted his life to the study of the Arctic ice pack. We congratulate the owners and wish the vessel and her crew to always have safe voyages. Please check our vacancies on our homepage http://www.danica-crewing.com/index.php?id=30 and apply or update your vacation online. 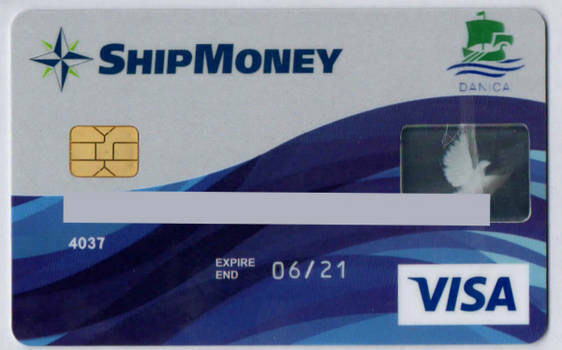 Many seafarers joining a ship through Danica will now get a Visa card free of charge. The Visa card can of course be used cash free payments at stores, airports, supermarkets, restaurants and online at millions of place around the world and draw cash at most ATM machines. In addition the seafarer can decide to have his full or part of the allotment transferred to the card and easily by using an App the seafarer can make online transfers to any account across the world or transfer money using the Western Union services. The seafarer can also decide to keep a balance on the card which is then protected by reliable USA Bank. The Visa card and application is of course protected by PIN-codes and with a chip and it is much safer than keeping cash in the cabin onboard or in the pocket. Marine Medical Program is working at Danica! Danica Crew Services and Eagle Ship Management continue the common efforts to provide our crew with different benefits and one of its - the Marine Medical Program (Private Medical Insurance), had already been implemented successfully. Since February, 01, 2018 the 62 seafarers and 2 spouses listed to the program and using the privilege to get medical assistance at first class medical facilities on free of charge basis. Recently one of Danica officers have already used the advantage of the Marine Medical Program and had a surgery at Medical House Odrex in Odessa. He had been operated free of charge and Danica Marine Medical Program covered all the expenses. In the meantime the seaman feels good and his family is happy for him. We wish all our crew strong health and good luck ! 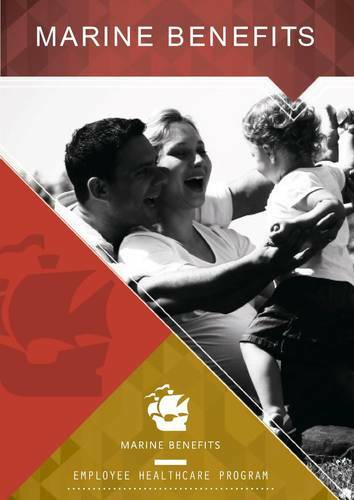 Stay with Danica and enjoy all our special services for seafarers and their families. The workers of the port of Jiangsu first met the gas carrier with such unique characteristics. "Due to the peculiarities of its design, this ship can walk in ice independently. He does not need the help of an icebreaker to get through the Arctic." now is valid till July 18th, 2021.
for MLC compliance back in 2013. The beginning of summer 2018 was marked by several vessel deliveries. Among them - five Bulk Carriers: Medi Palmarola, Medi Serapo, Medi Ginevra, Medi Egadi and Medi Cagliari. All Senior and Junior Officers, including cadets were supplied by Danica Crewing Services for Medi Palmarola and Medi Egadi new Cargo Ships. Many seafarers from Danica pool were happy to join all the five crews. We wish them fair winds and following seas! Today Danica in Odessa, Ukraine is celebrating our five-year anniversary under the Danica flag, but the roots of the office actually go back to 2009. The business concept of Danica back then was – and still is today - to provide high quality crewing services to demanding shipping companies by connecting shipping companies with highly competent seafarers who all have passed a rigid screening. The concept has proven to be right: In the past five years Danica has deployed 10,935 seafarers on 499 vessels with 44 owners. 29,216 seafarers have registered their application with Danica. 9,210 seafarers were in our office for screening and 3,919 passed as they fulfilled our strict requirements. The team in the office in Odessa today counts 33 members and in addition to the traditional manning agency services we offer a range of value added services including payroll, training, planning, crew logistic, consulting and accounting. 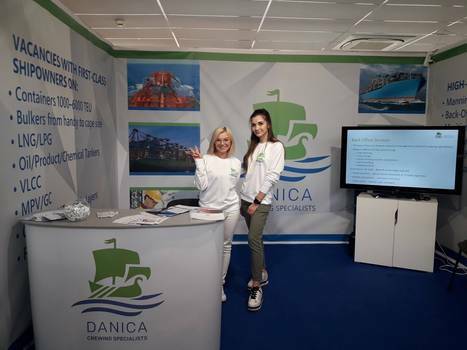 In 2015 Danica expanded with an office in Saint Petersburg, Russia, and in 2016 we established offices Vladivostok and Nakhodka in Russia and in Klaipeda, Lithuania. In 2017 Danica Training Services was established to ensure homogeneous high-quality training of seafarers across the locations where we have offices. Danica Hospitality People – our newest branch - has started operating this week to cover an increasing demand of service personnel for cruise vessels and ferries. We take this opportunity to send a warm thank you for the support we have received from our clients, seafarers and partners. We are looking forward to continue working with you for the benefits of all of us. the chemical tanker MV Nore on behalf of her new owners CANSHIP UGLAND. representative and currently heading to Halifax in Canada. We wish both the crew and the ship fair wind and good luck! by clicking here and see the vacancies we have for you. You have not applied before? Then please use our electronic application form. The Danica Promotion Pipeline Program gives all well-performing crew members the opportunity to make a fast career. Every crew member enrolled in the program has a personal training book and check list for items you as a minimum must know to be promoted. In this way Danica supports you so you are ready to be promoted as soon as there is a vacancy your next-higher rank. In Danica we take care of all our seafarers and offer all well-performing crew excellent conditions, promotion prospects and steady and long employment relations with first-class ship owners. 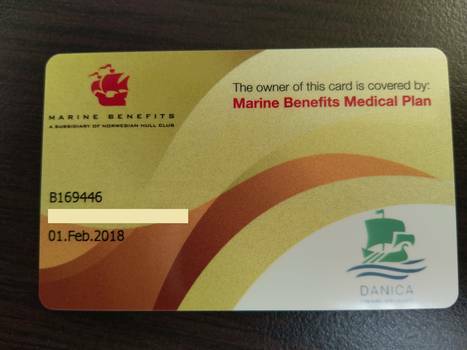 On 20th of February a group of our seamen was enrolled in Danica Medical Insurance Program which is now introduced for all crew working on Eagle Bulk ships through Danica and the first medical insurance cards were delivered to the first group of seamen. All officers and ratings working for Eagle Bulk and who have successfully completed two contracts qualifies for enrolment. After three contracts also the families are getting enrolled in the medical insurance program. 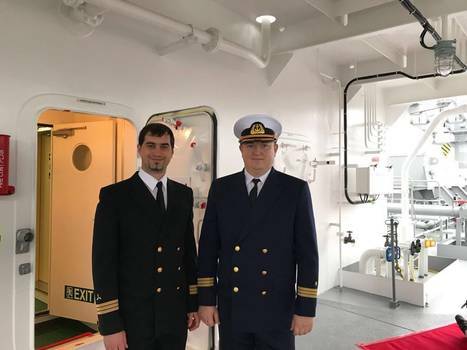 "It's great that Danica introduced this medical program," says Chief Engineer Viktor Lizogub, who works with Danica Crewing Services on Eagle Bulk vessels. "I am eager to work with a company who cares about its seamen not only onboard but also ashore." You have already applied with Danica? Then please update your application/ CV by clicking here and see the vacancies we have for you. New Year and Christmas with Danica has become our good tradition! 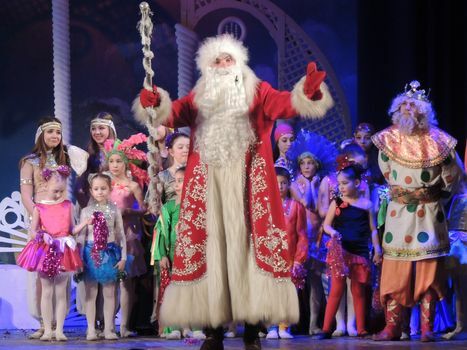 The New Year holiday is a magic time for all of us and especially for kids. This year Danica has brought some magic and joy to the families of our crew. 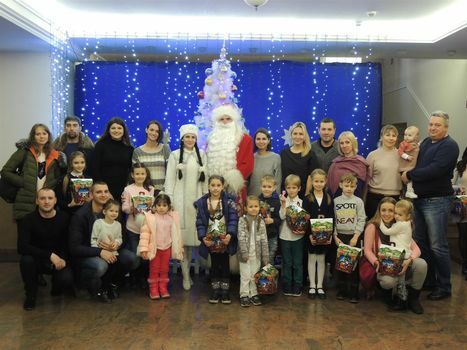 It was a great privilege and pleasure to arrange the New Year celebration and Christmas festivities where all the children received lovely sweet gifts. Everybody enjoyed Christmas magic spirit and holiday event organized by our Owners and Management, our Partners (Sirius Ship Management, FRS, Forest Wave Navigation, Eagle Ship Management) and friendly Danica Team! Till next year, Dear Santa! End of the year 2017 was marked by several vessel deliveries. Among them Bulk Carrier MEDI ROMA /SUPRAMAX delivered on November 30th 2017 and its sister ship MEDI ZUOZ delivered on December 8th . Many seafarers from Danica pool were happy to join both crews. We wish them good luck and friendly wind ! 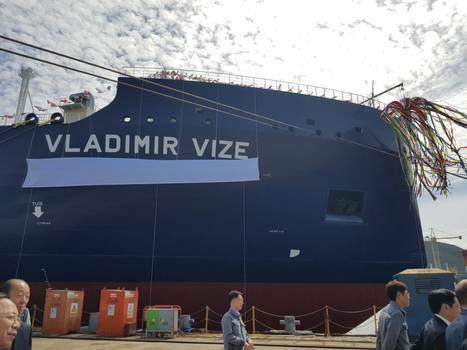 Ice-breaking type LNG carrier VLADIMIR RUSANOV, DSME Hull 2424, the fifth ship of the fifteen LNGC being built by DSME to serve Yamal LNG project and jointly owned by MOL and CSLNG was named yesterday at DSME Okpo shipyard in South Korea. Two junior officers have joined Vladimir Rusanov from Danica-crewing pool. The Vladimir Rusanov and its sister ships will have independent ice-breaking capabilities enabling them to sail in seas with ice up to 2.1m thick. The vessels will transport LNG from the Yamal LNG plant at Sabetta on Russia's Yamal Peninsula to worldwide LNG markets throughout the year. They will also be able to sail on the Arctic Sea Route to transport LNG to East Asia via the Bering Strait during the summer months. They are expected to make major contributions from various aspects such as improvement of LNG transport efficiency, establishment of a new transport route, and further reduction of CO2 emissions by shortening sailing distances. 21-22.11.17 – Ms. Francesca Manzi – General Manager Sirius Ship Management Srl and Capt. Aniello Mazzella - Group Crew Director d’Amico Societa di Navigazion S.p.A. have visited Danica office in Odessa. This meeting is aimed to have a chance to stay closer to the crew. It is always a good opportunity during such face-to-face meetings to discuss the questions coming from the seafarers and tell about the Co’s future strategy and vision. The good employer is always taking care of the crew to make their work on board smooth, safe and comfortable. 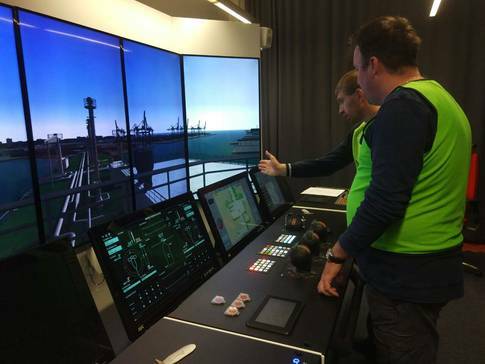 During the 45th week of November 2017 another ABB Azipod Course for MOL LNG Transport (Europe) Ltd was held at the ABB Marine Academy Helsinki. 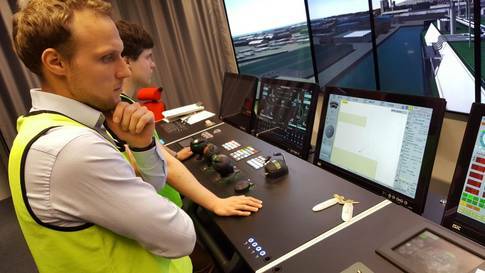 Three of our Third Officers and 3A Engineers were attending this training so that in future they can join one of Yamal project vessels. First group will join “Vladimir Rusanov” (one of three MOL’s icebreaking LNG carriers) in December 2017. MV Songa Alya, mv Songa Antofagasta and mv Songa Calabria are new deliveries which became part of growing Nordic fleet. MV Songa Alya is a container vessel with 41748DWT powered by B&W 1 x 7K80MC-C, 2 Stroke type of engine registered under Liberia flag. MV Antofagasta is a container vessel with 35534DWT powered by MAN-B&W 1 x 7L70MC-C, 2 Stroke engine registered under Liberia flag. MV Songa Calabria is a container vessel with 50353DWT powered by MAN-B&W 1 x 8K90MC-C, 2 Stroke engine registered under Liberia flag. New deliveries in Sirius Ship Management S.r.l. MV Cielo Bianco and mv Cielo Rosso are sister products tankers with 74100DWT registered under Liberia and Malta flag accordingly. Crew are happy to be a part of our clients’ team. We are pleased to announce the launching of Danica Training Services. Danica Training Services offers you high-quality training in Odessa, Saint Petersburg and Klaipeda. Our catalogue of courses includes standard STCW/IMO courses and other important courses to upgrade your knowledge. To be a successful officer today equally important to hard technical knowledge and skills are soft competencies such as leadership, behavior and safety culture management. Danica offers value adding courses which give the participants a platform of modern man-management tools including self-assessment. Please read more below. Danica's training programs are created by active seafarers whose knowledge and experience puts them at the forefront of ship industry instruction. Please visit www.danica-training.com to learn more and see all our courses and make a booking. In January 2017 Danica launched a feature where seafarers who have registered their application with us can log-in and keep their data updated. This includes personal data and sea service records. Since January and until today 11099 of the about 27000 seafarers in Danica’s database have used the new system to update or confirm the validity of the data in their application. When we include the number of seafarers who applied or which application was updated manually by office within the past 12 months then in total about 15,000 applications in our files have an age than one year. The high number of updated applications in combination with our efficient and advanced search tools enables Danica to fast introduce the suitable candidates for any vacancy. This is a big yearly event in crewing business taking place in Odessa – the largest seafarer hub in Europe with a lot of participants from the industry – local as well as from abroad. The presentation of Danica was very received by the audience and raised a lot of interest to learn more about Danica’s advanced screening processes. Our company increased the efficiency of presence at the Forum, extended business relations and offered our services to the highest level professionals. 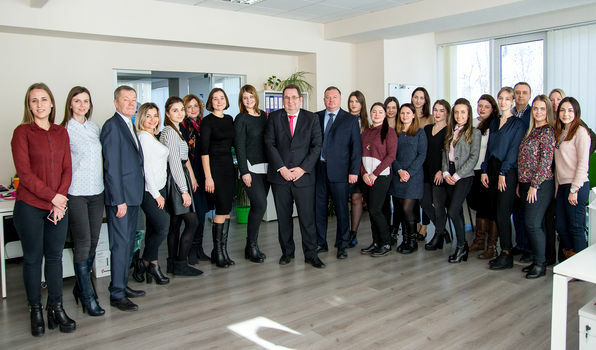 Danica opens offices in Vladivostok and Nakhodka! We are pleased to announce the opening of two new Danica offices in Vladivostok and Nakhodka enabling us to reach out to the many seafarers in Eastern Russia. The offices two offices are in cooperation with Sea Agency - a very well reputated local crewing agency. You can update your application now with Danica through the seafarer section on our homepage. Please go to cv.danica-crewing.com and check that all your data is updated. You can also apply for one of our vacancies with first class owners when you have logged-in. 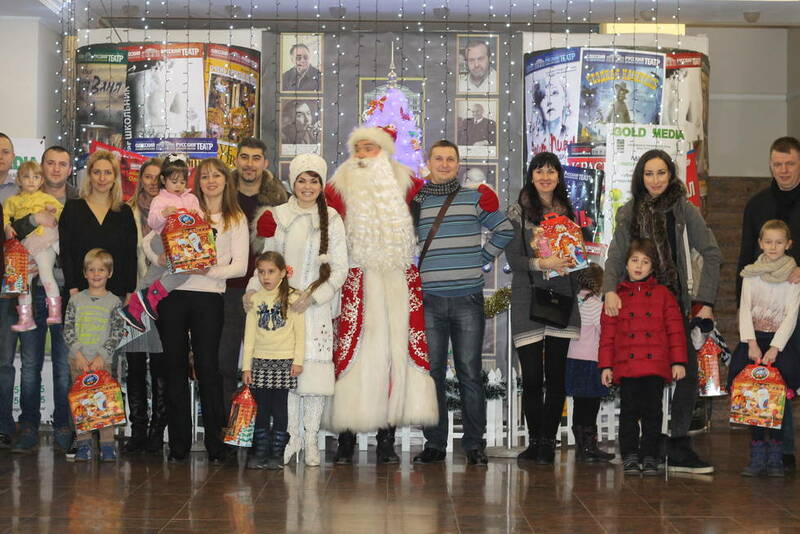 The New Year holiday is a joyful and cheerful time for all of us and especially for children. This year Danica has brought a little fun and gladness to the families of our crew. 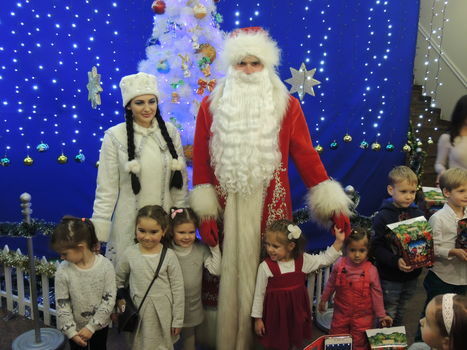 It was an honor and pleasure for us to organize the greatest New Year and Christmas celebrations for children where all have enjoyed the magic fairy tale and show and have received nice sweet presents. We hope it will be our good tradition to get the owners - crew – Danica together to spend time with our friendly team and enjoy holiday spirit every year. Danica Crewing Services continued to grow through 2016 and we now connect more than 1100 highly competent seafarers with first class shipping companies around the Globe. The success confirms the strength in our concept: Robust screening of all seafarers new to us and always act in the interest of our clients and at the same time be fair to the seafarers. Both ship owners and seafarers value of services. Danica Crewing Services Baltic’s office in Klaipeda was established in April 2016. The office coordinates the recruitment of seafarers from the Baltic countries and are specialized in tankers (gas, oil, product, chemicals), roro vessels, passenger vessels, offshore and wind park construction support vessels. Thome Group is a dynamic provider of integrated ship management services to the international shipping and offshore industries. 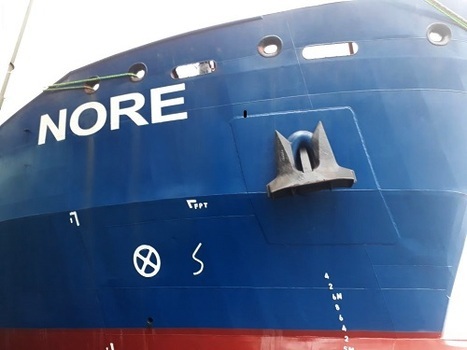 Thome group includes more than 300 vessels under full technical management serviced by 750 shore staff and 12,000 crew members. The Thome Group is recognized as one of the world’s leading independent international ship managers with offices and agents worldwide. Since October 2016 Danica has started to cooperate with Thome group and we provide crew from Ukraine and Russia. Our new client BBG "Bremer Bereederungsgesellschaft mbH & Co. KG" is German based shipmanagement company, their fleet consist of bulkers and MPC vessels trading WW. 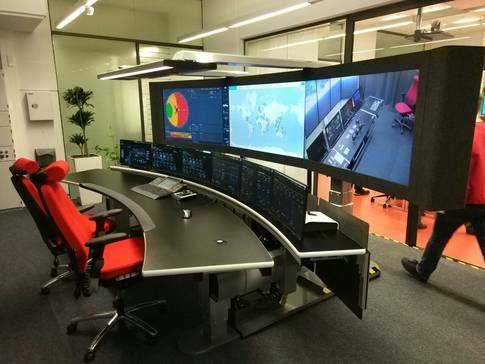 Today BBG manage nearly 30 bulk carriers up to 92.500 DWT capacity and provide all services of a modern ship manager under highest quality levels, safety aspects and cost consideration. BBG and Danica Crewing Services started cooperation in August 2016 and continue to work fruitfully where Danica provides qualified crew for BBG vessels. 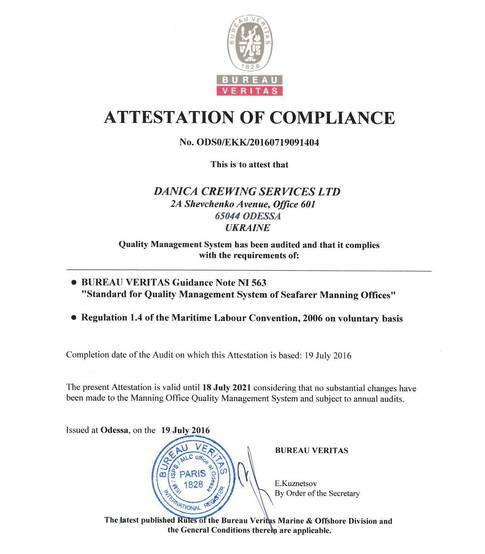 Danica Crewing Services was one of the first manning agencies in Ukraine who was certified for MLC compliance back in 2013.In July 2016 Danica was audited by Bureau Veritas and the MLC compliance certificate was renewed. Diamond Ship Management benefits from being a member of The Diamond Group, a group of companies with the ability to offer the complete ship support solution. Diamond Ship Management is one of the biggest reefer managers for number of well known ship owners. Danica and Diamond Ship Management started cooperation in August 2014 and continue to work fruitfully. We supply Senior crew thoroughly selected for reefer vessels. Claus-Peter Offen Tankschiffreederei (GmbH & Co.) KG, Offen Tankers, started in 2007 and is a sister company to Reederei Claus-Peter Offen, founded 1971, one of the leading container ship owners. Offen Tankers is a dynamic growing, first class ship manager of own and 3rd party tankers and bulk carriers of all types and sizes. Offen Tankers manages a fleet of 28 very modern vessels to the highest industry standards. Offen Tankers and Danica Crewing Services started close cooperation in November 2014.Danica provides qualified officers for several bulk carriers. More new-buildings to come into management later this/next year. Danica Crewing Services and Scanmar Maritime Services started cooperation in Aug 2013. Scanmar Maritime Services was established in 1982, to provide Philippine crew for Philippines flag vessels owned by a Swedish and Filipino joint venture group. Historically, Scanmar has been positioned very close to Scandinavian owners and in its early years their main activity was concentrated only within the reefer sector. The Company presently provides over 3500 crewmembers for more than 250 vessels including a large number with a full Filipino complement starting from Master down to the lowest rank. Scanmar Maritime Services manage the following types of ships: bulk, container, general cargo, passenger, reefer, ro-ro, chemical, product & oil tankers plus various types of off-shore vessels such as dive support, platform support, survey, seismic multi-purpose supply, cable lay, cable repair and pipe-lay units. 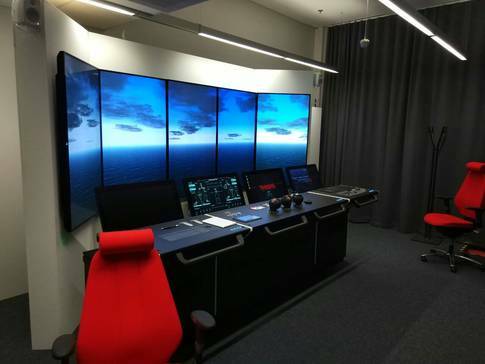 We started our joint venture with Scanmar to have a chance to provide our clients with full package of crewing services which includes the crew (mostly Officers) from CIS and Philippines (mostly Ratings/Jr Officers). 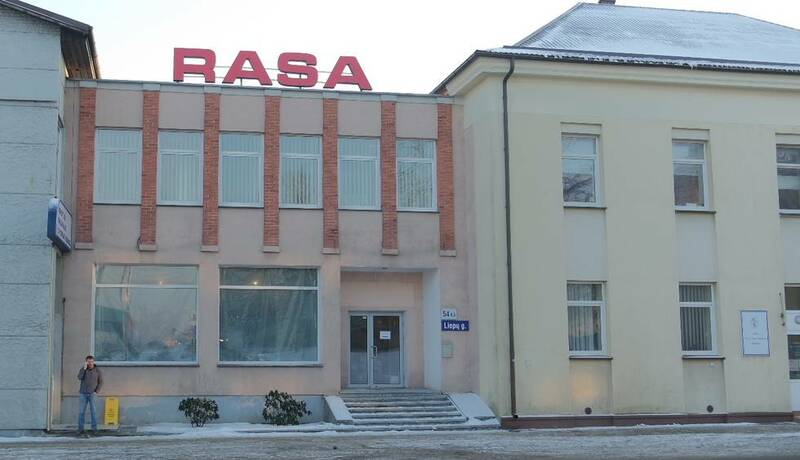 In this case our clients have only one contact point (this is Danica in Odessa) where the whole crew logistics (recruitment/screening/selection/planning/pre-joining) is planned and coordinated with Scanmar. Danica is approved by GL and fulfils requirements of the Standard for the Approval of Recruitment and Placement Service Providers. Thus to prove the MLC Certificate we have to pass Annual Surveillance audit. Danica staff are fully aware of the responsibilities and passed it successfully. The goal of this audit was to ensure that all the procedures are strictly followed by all Danica employees. The Certificate is valid until 1st of August 2016, provided that annual maintenance of this Approval Certificate is maintained and confirmed by Germaischer Lloyd according to Section C 6.2. of Germanischer Lloyd’s “Standard for the Approval of Seafarer Recruitment and Placement Service Providers”. Danica Crewing Services closely cooperates with Italian crew manager Sirius Ship Management who are a daughter Company of D’Amico and supply crew for more than 90 vessels. Starting in 1997 from managing few owned vessels D’Amico decided they need an office in Genoa and a branch in India. Today the Indian office is Company’s main source for selection and recruitment of skilled candidates. Indian branch office cooperates with Manila office and many partners around the world. Sirius Genoa, the head-office, are responsible for crew planning and selection and recruitment of both Italian and non-Italian crewmembers and coordinate this with all Company’s branches/agents. 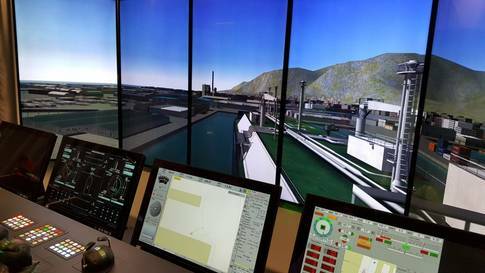 For more than 15 years of activity in the Crew Management, Sirius can count more than 3000 employees operating on almost 90 vessels with about 100 office-staff members in Genova, Manila, Mumbai, New Delhi e Kolkata. The biggest clients for Sirius are d'Amico Societa di Navigazione SpA, Baleno International Tour Agenzia di Viaggi Navigazione Montanari Spa Maritime Shipping, D'Alesio Group Maritime Shipping, FANIMAR Fondo Assistenza Nazionale Integrativa Marittimi, Omnia S.r.I. Informatics, Ishima-Pte. Ltd International Shipmanagement, International Maritime Employers' Committee Limited. The fleet is presented widely by Oil and Oil Chemical Tankers, Ocean research vessels , Bulk Carriers and Container, Ro/Ro vessels and m/yachts. During 2014 Danica and Sirius supplied more than 40 vessels with Ukrainian and Russian crew members. Danica Crewing Services is a manning agency, recruitment and placement provider offering high quality manning and related services to shipping companies. Now we expanded our presence in Russia. Saint Petersburg was decided to be the best place for another branch office to cover handling of Russian crew. The office is quite easy to reach from any side of the city as is located in the exact center of the city. It is situated in business center “Tempo”on Nevsky Prospect, within a 2-minutes’ walk from Mayakovsky Metro Station, not far from Moskovsky railway station and Vosstaniya Square metro station. Headed by Managing Director Oleg Ivanov, who has gained significant operational and strategic experience with strong background in Marine HR. Nordic Hamburg Shipmanagement was founded in 2008 by Dr Rowil Ponta, Richard Grube and Captain Henrik Jensen. The business concept today is the same as it was back then: to provide high-quality ship management services to discerning ship owners as an equal partner with full transparency. The fleet comprises more than 20 vessels, which company manage through head office in Hamburg and implant office in Odessa, Ukraine. Danica Crewing is the exclusive manning agency to provide crew from Ukraine and Russia. 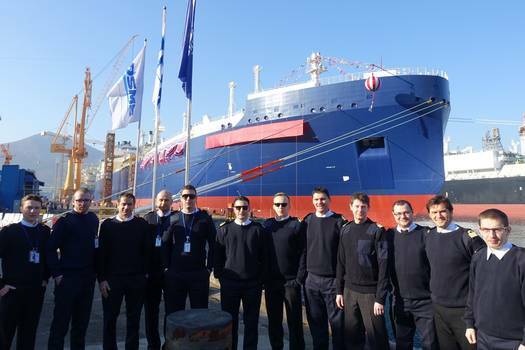 Nordic Hamburg Shipmanagement continues develop and enlarge their fleet. Nordic Stade and AS Venetia were taken into management in February 2014. Mv Nordic Stade and mv AS Venetia are supramax bulk carriers registered under Liberian flag and built in 2011 and 2010 accordingly. Spring 2014 was full of important events such as new buildings delivery in China. Mv Nordic Stralsund, mv Nordic Alianca and mv Nordic Yarra are new buildings which became part of great Nordic fleet. Mv Nordic Stralsund is a container vessel with 46000DWT powered by Wartsila 1 x 6RT-flex82C 2 Stroke type of engine registered under Marshall Islands flag. First crew members joined the vessel provided by Danica Crewing Services at the end of July 2014. Mv Nordic Alianca and mv Nordic Yarra are sister bulk carriers 37,500 DWT powered by Wartsila 1 x 5RT-flex50 2 Stroke type of ME registered under Isle of Man flag. Danica started to provide these vessels with crew from March and May 2014 accordingly. MTM Ship Management Pte Ltd, was founded in 1988 in Singapore to manage a fleet of 6 chemical tankers owned and/or bareboat chartered by the MTM Group. Since then MTMSM has progressed into competitive ship management with a fleet of 45 vessels for Owners based in Japan, Hong Kong, Indonesia, USA and United Kingdom. MTM Ship Management Pte Ltd manage various types of vessels which are modern handysize bulkers, containers, and Chemical/Product Tankers, the newest were delivered in 2014. MTM Ship Management Pte Ltd and Danica Crewing Services started close cooperation back in 2013 and extended it in spring 2014. 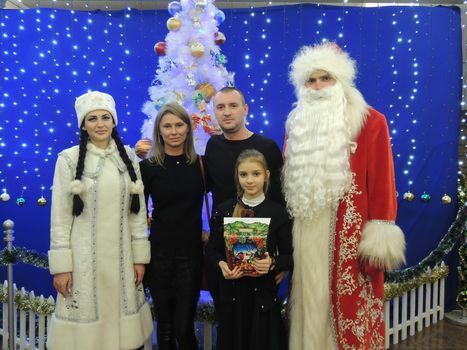 Nowadays Danica is an exclusively used manning agency to provide crew from Ukraine and Russia. In recent years, Förde Reederei Seetouristik (FRS) has grown from a regional passenger ferry operator to an internationally active business group with about 30 vessels and approximately 1000 employees. Every year, FRS carries 5.4 million passengers and 1.3 million vehicles in total. The FRS success story as a short route ferry operator goes all the way back to 1866. Today, FRS, with its base in Northern Germany, has a portfolio that comprises 13 subsidiaries located in Europe and North Africa. In addition to numerous international ferry and catamaran lines, three regional bus operations complete the product range. FRS and Danica Crewing Services have started cooperation in autumn 2013. Danica provides stewardesses for Spanish and German lines ferries. Starting from May, 2014 our catering crew candidates work on-board the vessels with exclusive working schedule 2 months on-board and 1 month. Girls live either on-board or ashore and work together with other nationalities of crew. Danica Crewing Services cooperates with Rederei AS as from 2013. Dannebrog provide a ship owner and a ship manager services to the clients with chemical / oil tankers as well as RORO vessels. “Nordana” is one of the companies of Dannebrog. These are new generation RORO vessels, very sophisticated and hi-tech equipped. The first new building m/v Wedellsborg was delivered in May 2014. Danica Crewing Services supplies crew for this vessel. 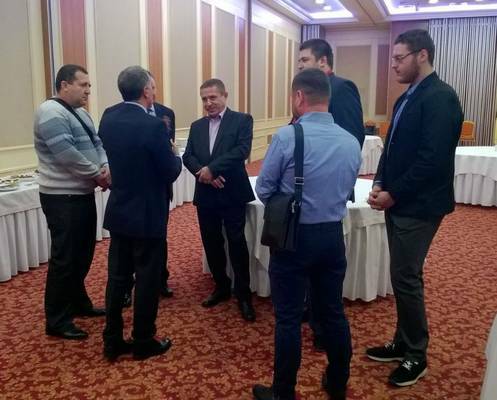 The International Forum on Seafarers’ “Education, Training & Crewing” took place in Odessa from 23th to 24th of April, 2014. Danica’s founder and CEO Henrik Jensen was a speaker at the conference and made a presentation about how Danica is using modern HR-tools in the screening and selection process. The presentation was very received by the audience and raised a lot of interest to learn more about Danica’s advanced screening processes. The conference will take place again in April 2015 and gives an excellent opportunity to visit Odessa meet other colleagues from the industry. You will of course also be welcome to visit our offices. Danica is now accredited by Germanischer Lloyds for being in compliance with Germanischer Lloyd’s Standard for the Approval of Recruitment and Placement Service Providers. The standard is a comprehensive ISO9000-like set of requirements to how a manning agency should operate and handle relations to clients, seafarers as well as operational and recruitment processes in order to achieve excellence in manning agency services. Following the standard also includes MLC 2006 compliance, and consequently Danica Crewing Services is also certified by Germanischer Lloyd for being in compliance with MLC 2006. The certification also closes the gab caused by Ukraine not being a party to the MLC, and Danica Crewing Services are fully able to supply crew to any flag also after the 20th of August, the day when the MLC comes into force. Today Danica was accepted by the Liberian Registry of Shipping as Recruitment and Placement Provider Service under the MLC and Danica can continue to supply crew for vessels under Liberian flag after the 20th of August, when the Maritime Labour Convention comes into force. Recruitment and Placement Provider Service is the term used in the Maritime Labour Convention (MLC) and in general covers the same as the well-known industry terms such as manning agency or crewing agency. 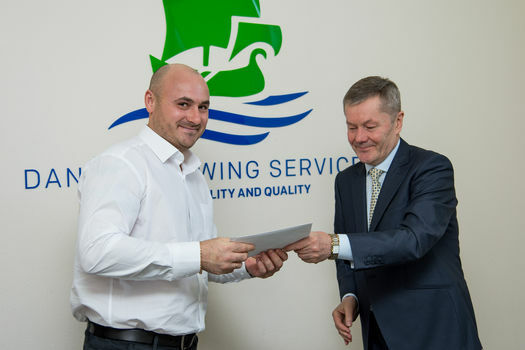 Danica Crewing Services has today been certified by Croatian Registry of Shipping as being in compliance with the provisions of the Maritime Labour Convention 2006 (in short MLC) which comes into force on the 20th of August. 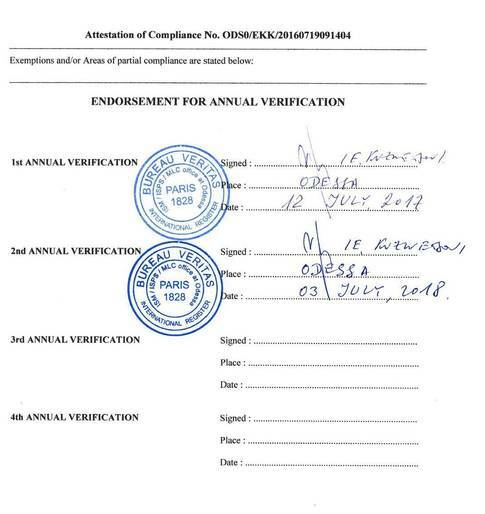 The certificate has been issued based on Croatian Registry of Shipping’s two days audit of Danica in order to verify compliance. 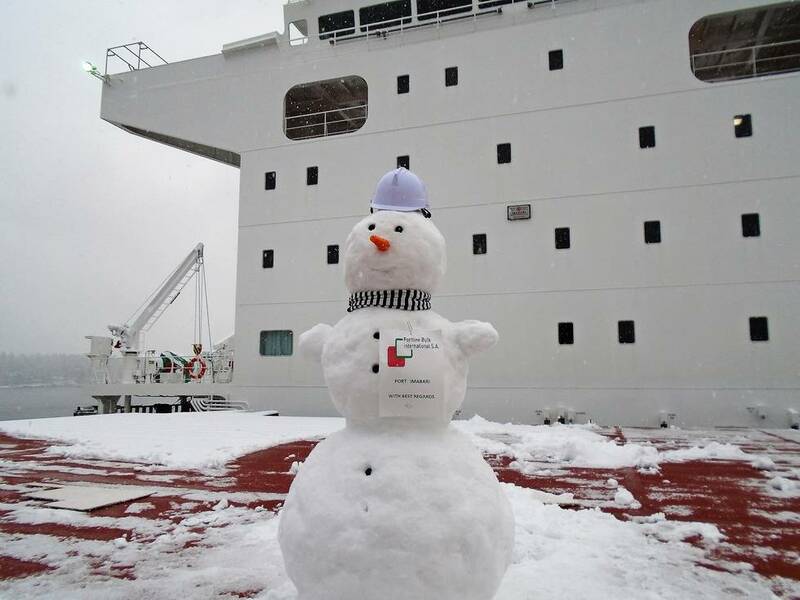 It is known by all shipping companies: The shortage of competent crew always worsen in the summer months. However, although we admit it is difficult and hard work, Danica’s recruitment team was able to provide our clients with as many as 63 new recruited officers, mainly senior officers, in the month of June, and we were able to cover all needs of our existing clients as well as the new clients who came to us as their current manning agencies were not able to perform. Despite the high intake of officers, we do of course not compromise with our high standards of screening the competence of each and every seafarer in order to ensure that the candidates introduced fulfils the requirements of our principals. 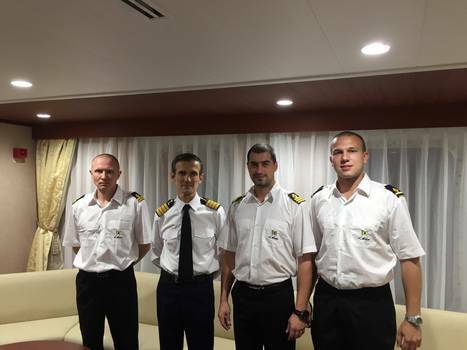 The reason for Danica being successfully in providing the many new officers is a combination of our very good reputation amongst Ukrainian seafarers as being a fair manning agency only providing employment with first-class owners, a large number of applications in our files, and our continuous advertisement efforts – and of course a well-organised, competent and committed team of recruitment professionals. Danica supplies more than 400 seafarers, mainly officers, to a wide portfolio of vessels including container vessels, bulk carriers, chemical, product and crude oil tankers as well as multi-purpose and heavy lift vessels, car carriers and bunker vessels. We also supply specialised crew to offshore vessels. In order to accommodate new office staff employed to cope with the expanding business of Danica Crewing Services, our office spaces have been expanded to the double size and also complete renovated. We are still at the same address Lyustdorfskaya Doroga, 172/1 in Odessa. 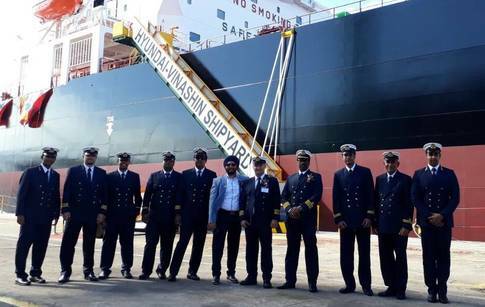 The crew onboard now counts more than 200 seamen, mainly senior officers on container vessels, bulk carriers, chemical, product and crude oil tankers. 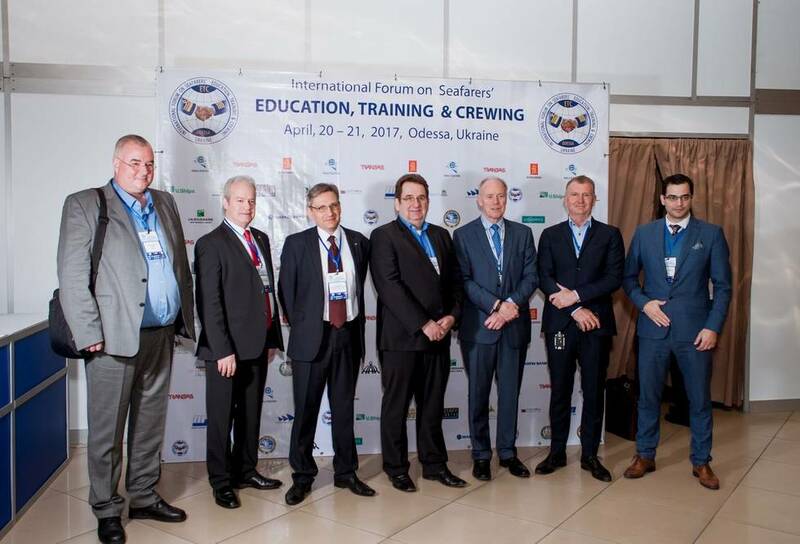 The International Forum on Seafarers’ Education, Training and Crewing held their first conference in Odessa on April 24th to 25th in Odessa. The conference discussed topics including training, crewing, and competence development as well as the consequences of the Ukraine will not be a party to the MLC 2006 convention coming into force in August this year. The conference was attended by a wide number of senior Marine-HR professionals from around the world, and Henrik Jensen, Owner of the Danica Maritime Group of companies, also participated in the conference. 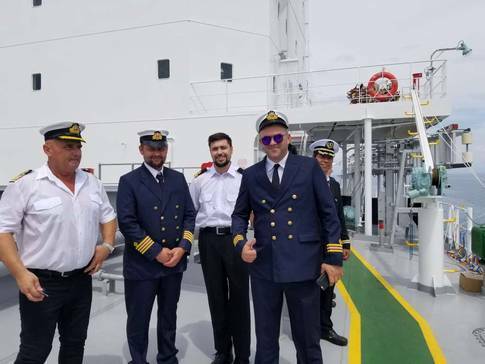 The crew for the M/V La Surprise, car carrier, 1700 private cars left from Odessa today in order to take up their duties onboard. The crew onboard is supplied through Danica Crewing Services in Odessa, and the crew management of the vessel is done through Danica Maritime Services. The vessel is the 15th to which Danica supplies full crewing services, and the total number of crew supplied to all vessels now counts more than 200. Today the M/V Nordic Nanjing was delivered to her owners GNS Shipping, a company in the Nordic Hamburg Group of companies. The Nordic Nanjing, which is manned by crew supplied through Danica Crewing Services, is a modern handy size bulk carrier (37,300 dwt) of the Seahorse 35 design which has been proven to be a very valuable asset to Nordic Fleet. The hull shape of the vessel in combination with a modern electronic main engine from Wärtsila as well as the propeller being fitted with a Becker Mewis Duct® device makes the ship extremely fuel efficient. With low CO2 emissions the vessel and her other sisters in the Nordic fleet are some of the most environmental friendly handy size bulk carriers in the world. Danica was one of the first manning agencies in Ukraine who was certified for MLC compliance back in 2013. In July 2016 Danica was audited by Bureau Veritas and the MLC compliance certificate was renewed. However, Danica is not only certified for MLC compliance. We are also following Bureau Veritas extensive ISO-9000 based standard for approval of manning agencies and audited and certified according by Bureau Veritas.